Stripe processes billions of dollars a year for some of the most successful companies and marketplaces on the internet, making it easier than ever to accept payments and manage an online business. Supporting startups and Fortune 500 companies, Stripe powers the sharing economy, top mobile applications, and global software services.Investors include Sequoia Capital, Andreessen Horowitz, Khosla Ventures, as well as PayPal co-founders Peter Thiel, Max Levchin, and Elon Musk. 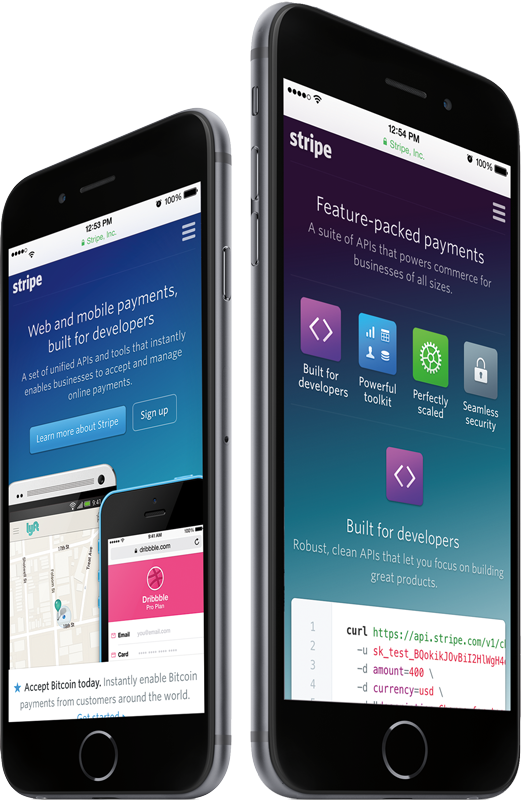 Stripe needed an effective way to serve their static assets while maintaining security for their customers. After the traffic caused by a customer’s flash sale brought down some of Stripe’s servers, they sought a CDN that would prevent future outages as well as help them optimize for performance. They turned to Fastly to help serve content efficiently — not only to maintain site performance, but also to enhance the experience for their users. Because Stripe is a merchant processor, they needed a CDN that could securely handle sensitive payment information while improving the merchant experience by ensuring a smooth and effective checkout process. Fastly caches static assets for all three products, speeding up load times and improving the end user experience. Fastly’s Instant Purge feature gives Stripe the ability to update content when necessary, in real time, and improves Stripe’s performance and reliability. Fastly also accelerates the delivery of Stripe’s Checkout product, which is made up of both static assets and dynamic content, like API responses and credit card details. Fastly ensures that static assets are always cached, and that dynamic content, which contains sensitive and user-specific information, is never cached. Securely passing API responses through to origin is integral to Stripe’s services. As a financial services company, they needed a solution that would let them effectively handle extremely sensitive personally identifiable information (PII). Fastly goes one step further, using dynamic site acceleration (DSA) to optimize delivery of Stripe’s dynamic content with advanced routing protocols and algorithms. 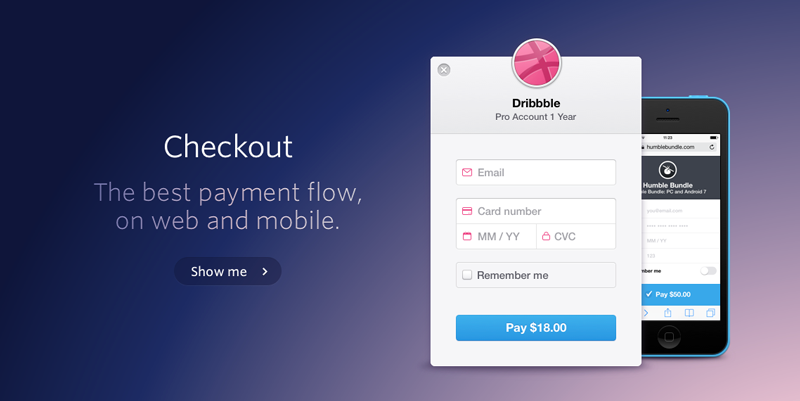 The ability to serve payment forms quickly has allowed Stripe to improve the checkout process for merchants and their customers. Studies show that slow load times are the number-one reason over 70% of online shoppers abandon carts, with “67% of UK shoppers and 51% of those in the US saying that site slowness is the top reason they’d abandon a purchase.” Due to Fastly’s ability to accelerate dynamic content and cache static assets, time to load the Checkout form has dropped by over 80% since Stripe starting using Fastly, which translates to huge benefits for Stripe’s customers. In late December 2014, Stripe needed to move quickly on a customer demand around a global, highly publicized media event. Stripe reached out to Fastly to serve content effectively in the event of traffic spikes and multiple requests, and also to mitigate any distributed denial-of-service (DDoS) attacks that might occur. Due to the newsworthy nature of the December media event, Stripe had to be prepared for a sizable and immediate spike in demand. Stripe used Fastly’s real-time dashboard to monitor site performance during the event. Used in conjunction with their own monitoring systems, Stripe was able to identify and resolve issues as they occurred. The newsworthy nature of the media event increased the likelihood of DDoS attacks, causing Stripe to seek out additional security measures. They knew they would have better security with dedicated CDN coverage, and engaged Fastly to help mitigate any possible attacks associated with the event. Stripe needed to address security and high-traffic concerns quickly over a national holiday. They knew that starting a new project with any company in late December would be challenging, and they needed a partner that would be responsive and efficient on a tight deadline. Stripe found that Fastly was not only the most responsive solution they engaged, but they also offered a level of proactive assistance above and beyond what other companies were offering.